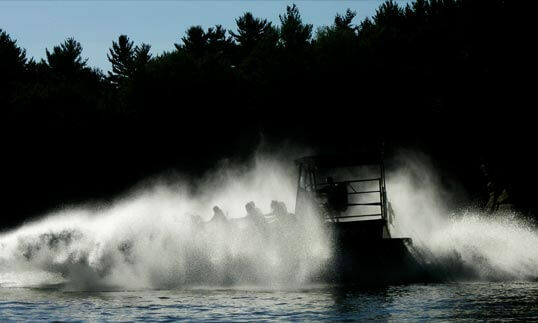 Our fleet of Jet Boats are built for speed, spray, stability and safety. Giving you an outstanding ride on the water and bringing you safely back to port is our top priority. All Jet Boat Adventures pilots have a minimum of 12 months river piloting experience, and have completed a rigorous training and safety program before taking the helm. All Jet Boats in our fleet are equipped with life jackets, high water and fire alarms, fire extinguishers, ring buoys and two-way radios for ship-to-dock communication. The unique hull design of our craft provides stability and a draft of just six inches when underway, allowing for dramatic maneuvers in any water depth. Our ultra-modern Jet Boats are 38′ in length, 14′ at the beam and weigh in at 14 tons. 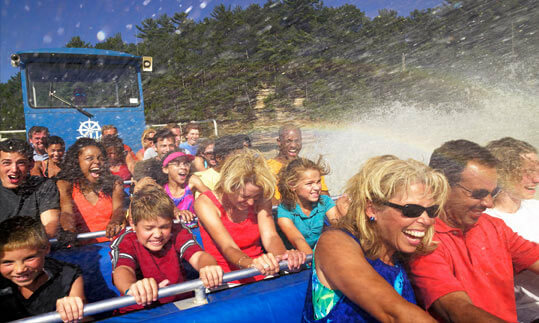 Passenger capacity is up to 58 riders. Our boats feature 496 Chevy big block engines with a combined rating of 1200 hp coupled with Hamilton 241 jet drives. The power-thrust combo can hit speeds of 40 mph.